Dillon Beach is beautiful yet susceptible to natural disasters. 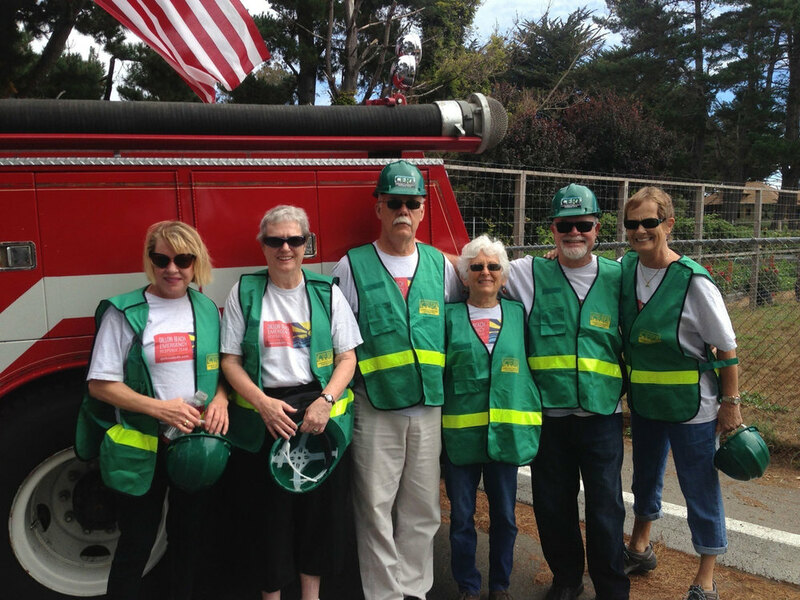 The Dillon Beach Emergency Response Team, made up of citizen responders from the community, is ready to help. You can be ready, too. Near the mouth of Tomales Bay, at the end of a single 3-mile road down a steep ravine, Dillon Beach is a haven for vacationers and residents. But its attractions are also vulnerabilities. Dillon Beach is susceptible to earthquakes, tsunamis, wind-driven wildfires, high winds, and flooding. In the event of a natural disaster, professional responders will be busy with critical areas inland. We need to be prepared to be on our own for five to fourteen days. The Dillon Beach Emergency Response Team (DBERT), made up of citizen responders from the Dillon Beach community, is trained and ready to help. With the resources on this website, you can be ready, too. Prepare your family and home for a disaster, and learn what to do in the event of an emergency. In the event of a natural disaster, you could become a temporary resident! Learn what to do. Help build a resilient community through membership and training. Provide us with your contact and location information so we can find you in the event of an emergency. Prepare yourself, your family, and your home or rental unit for an emergency.